A completely natural treatment for sinus and nasal conditions, and is supported by a wealth of clinical evidence to support its efficacy and safety. Post-nasal drip, cough, headaches, nasal congestion sinus headaches, frontal pain and pressure, and encrusted mucus can all be resolved by nasal irrigation. Saline solution and a container for the solution are required. 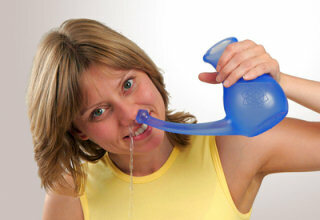 Neti pots are by far the most popular containers but there is a range of other methods that are equally good. The process of flushing the nasal cavity and sinuses is quite simple and takes no longer than cleaning your teeth. The sinuses contain mucous, but when inflammation and swelling occur, known as sinusitis, the mucous builds up and provides the perfect opportunity for bacteria to breed. 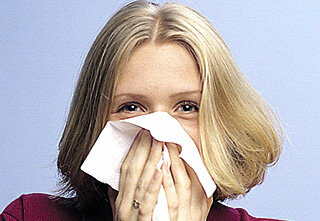 Sinusitis is often caused by allergens such as dust, house dust mite, pollen, pet hair, mould or other environmental irritants. In other cases it is caused by infectious agents like viruses, bacteria and fungi. The nose is an important feature of human anatomy and is one of our most vital organs. It is complex in both form and function, and consists of skin, bone, cartilage, blood vessels and nerves. It also provides our sense of smell, and plays and important function in our breathing process.